Completing your first round of the HCG Protocol, really is quite an achievement! !Maybe you have been on the HCG Diet Protocol for a couple of months and done a few rounds of the HCG Diet, depending on how much weight you needed or wanted to lose. It’s not easy following all the rules, guidelines and adapting to the restrictions but most probably at this stage you will have lost a great deal of weight!! Without a doubt I know that you will feel that it has definitely been worth it! Your weight loss is good, the centimeter loss excellent and your energy increased in bounds and leaps as well as a wonderful feeling of wellbeing. But after all this perseverance, determination, hard work and willpower it’s of the UTMOST importance to do the MAINTENANCE and or STABILISATION PHASE in order to keep that weight off! Once you have lost all that weight and are feeling really good about yourself, you might believe that you have this and know what to do to keep the weight off ….watch what you eat and simply make healthy choices but please don’t fool yourself. If you DO NOT follow the maintenance or STABILISATION phase, of the HCG Protocol all that hard work could have been for nothing. 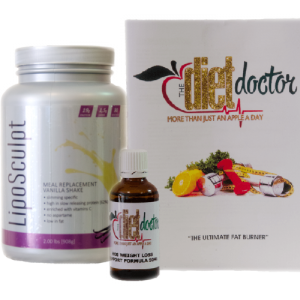 This maintenance phase is just as important as the HCG Diet Phase, because during the weeks of maintenance you are re-setting your normal weight level and training your body to maintain that weight. During this phase the goal is not to lose more weight but to maintain the weight loss you have so far achieved. This maintenance phase bolsters your confidence to move on with your life and enjoy that new body. If you still have weight to lose then you need not do the maintenance phase until you feel you have reached your ideal goal weight. The maintenance phase is all about keeping your weight loss within 2 kilograms of your goal weight that you achieve on the last day of finishing with the HCG. Getting MOTIVATED and Staying DETERMINED for successful weight loss.